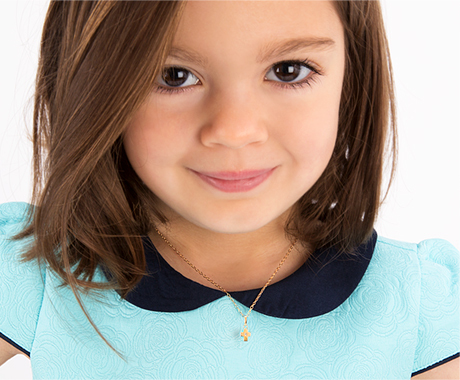 This solid 14k gold identification bracelet for babies and children is an heirloom she will treasure always. In an adorable heart-shaped tiny plaque we offer free engraving in either her exquisite single initial or a traditional monogram. All of our jewelry is engraved by experienced designers, you won't be disappointed by the high quality craftsmanship found only at Tiny Blessings. And, don't forget to personalize it even more with her birthstone charm added at the end to for that touch of sparkle every girl loves!